Bush Hill Park Primary School in Enfield achieves IQM Centre of Excellence status for the second time. Bush Hill Park Primary (BHP) is much larger than the average sized primary school with 630 pupils on roll. The number of pupils eligible for support through the Pupil Premium is well above the national average, the number of pupils for whom English is an additional language is also well above average and a significant number of pupils have special educational needs. The number of children with a statement of special educational needs or an education, health and care plan is high. BHP serves an area with a sizeable transient population. Consequently, a significant proportion of pupils are at an early stage of learning English as an additional language. Some families live in temporary housing and a high number of pupils enter and leave the school, other than at the traditional times. Children arrive at BHP with a wide range of individual needs, they are provided with challenging learning experiences and an incredible amount of support and encouragement. The expectation is that every child will be enabled to ‘be the best they can be’, to discover what their interests are, their strengths, gifts and talents, that they will enjoy their educational experiences and will be enabled to progress, at every stage of their learning in order to fulfill their individual academic, social and emotional potential. Despite the obvious challenges the most recent Ofsted inspection (December 2017) describes Bush Hill Park as a ‘good’ school in all areas, including those that relate to teaching, learning, and learner progress. The BHP community welcome and celebrate linguistic and cultural diversity and have high expectations of all students regardless of ethnic, cultural or linguistic heritage. BHP includes all students and parents by respecting diversity. 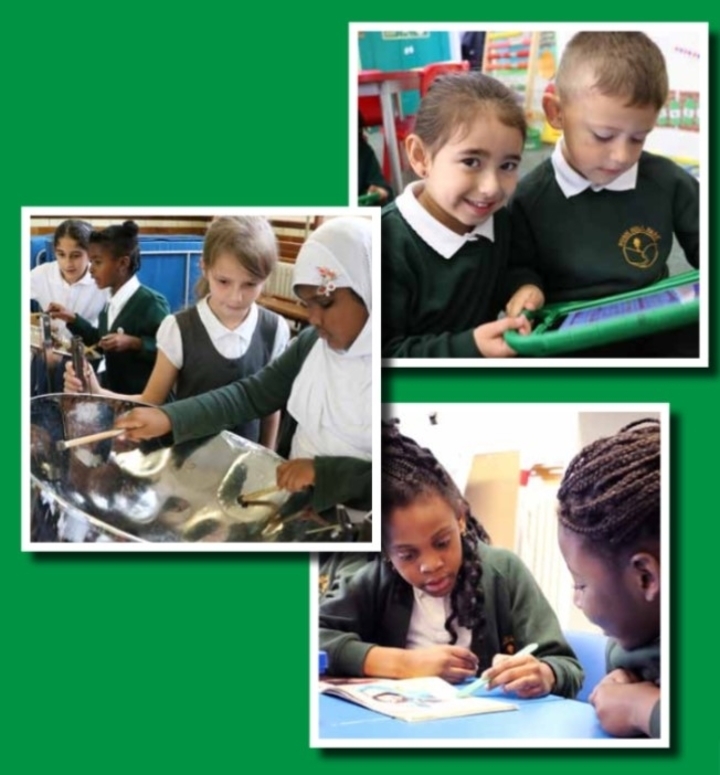 This is reflected in the school environment, the curriculum, learning resources, partnership with parents and in conversations with all members of this richly diverse community. The Victorian school building has been developed and refurbished over the years. Currently a new school entrance is being built which will make the school more visible and accessible to the local community. The Headteacher and her team use all resources to best effect, constantly reviewing what they have in order to provide the best learning environment possible for the pupils, parents and the community in which the school sits. As a consequence, spacious and well-resourced classrooms, offices and meeting areas have been developed as well as the school’s newly refurbished outdoor play areas. The Headteacher took up her post in September 2015. However, she was not present during the previous IQM review as she was on maternity leave, returning in September 2018. During her absence the two Deputy Heads became interim co-Headteachers, they, along with a very experienced Assistant Head/SENCO, led the school. These three key members of staff have since left Bush Hill Park Primary. In the last year there has been a high turnover of staff in general, mainly due to career progression including promotion to Headship. High staff turnover (September 2018) presents additional challenges for BHPS moving forward. This has impacted to some degree on the delivery of the IQM action plan. However, I have no doubt that the school has the capacity, with excellent new appointments and the expertise to ‘regroup’ in order to sustain and develop their inclusive practice and to continue to collaborate and share good practice with other schools locally and further afield through the IQM clusters. I am confident that the Headteacher and her staff, with the support of the Governors will meet these challenges full on. This is a vibrant and resilient community. As the previous IQM review observed at this school, nearly every week brings new children and interesting challenges. BHP is a good school that is clearly committed to inclusion. Despite the challenge of high staff turnover, I am of the view that this school does have the capacity to sustain whole school inclusive practice. BHP is an active member of an IQM Cluster Group of COE and Flagship Schools.